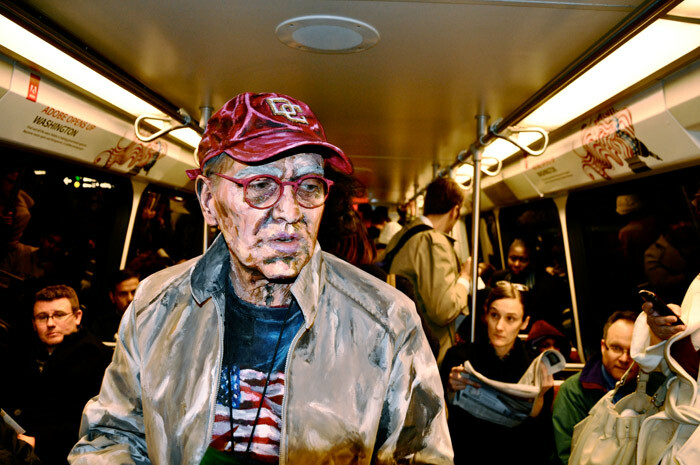 Alexa Meade thinks completely backwards. 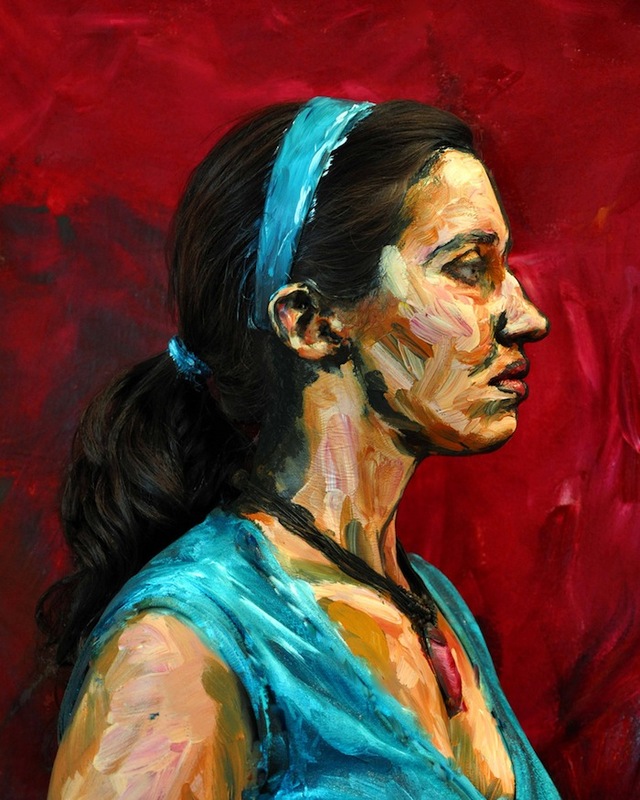 Most artists use acrylic paints to create portraits of people on canvas. 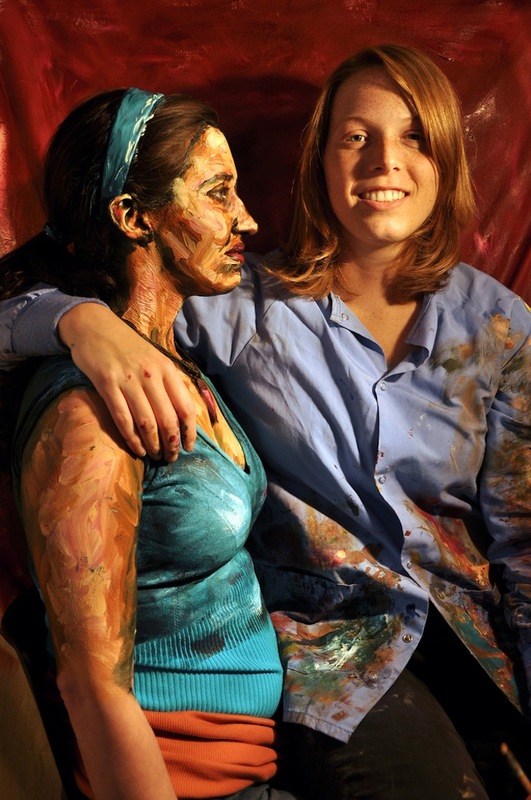 But not Meade – she applies acrylic paints on her subjects and makes them appear to be a part of the painting! 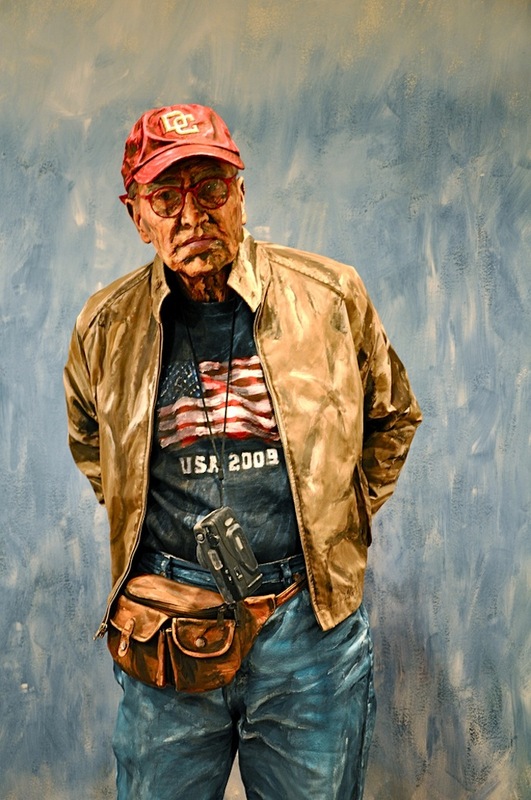 Meade is an installation artist based in the Washington, DC area. Her innovative use of paint on the three dimensional surfaces of found objects, live models, and architectural spaces has been incorporated into a series of installations that create a perceptual shift in how we experience and interpret spatial relationships.